One of Dorset's best-loved gardens, Snape Cottage at Bourton, is to close after 26 years of opening in aid of the National Gardens Scheme. 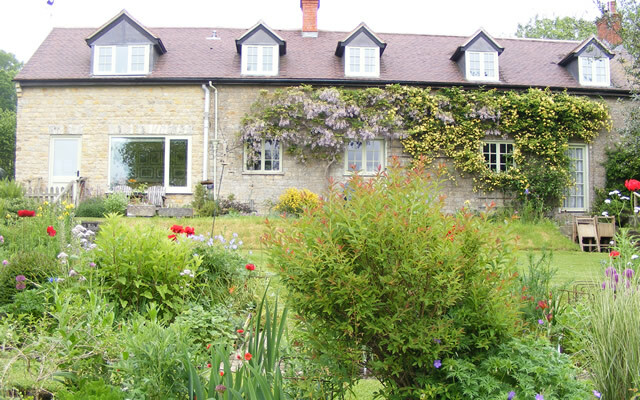 Owners Angela and Ian Whinfield have put their beautiful stone house and half-acre garden up for sale, with Humberts at Sherborne, and are planning to move locally and make another, smaller, garden. Snape Cottage garden is internationally famous for its plant collection, including over 400 varieties of snowdrop, dwarf narcissi, thousands of rare and traditional perennials. It’s also well known for the artful way in which everything sits in the ancient landscape on the Somerset/Dorset borders near Penselwood, using a fine view of “borrowed landscape” stretching 25 miles across the Blackmore Vale to Bulbarrow. Angela's style of informal cottage gardening is popular abroad, and she has welcomed visitors from the Netherlands, Germany, Belgium, Sweden, Australia and the USA. 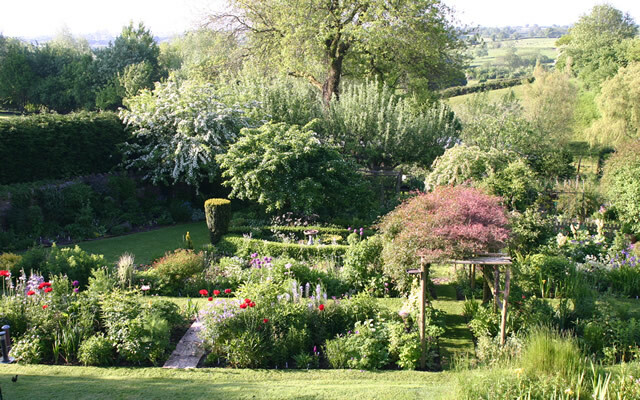 She has been televised eight times and featured in most of the UK's leading gardening magazines. “We both have health problems. Mine is chronic back pain following a car accident 25 years ago, and I can no longer maintain the garden on my own. I would find it very difficult to stay here and watch the garden deteriorate, and it just seems the right thing to be doing. “Our main regret - apart from missing our visitors - will be in leaving the wildlife that we have attracted to the garden over the years. Living on the edge of ancient woodland, we have slow worms, glow worms, great crested newts, and weasels. Angela is planning to make another wildlife-friendly garden, with the same philosophy behind the creation at Snape Cottage, but incorporating raised beds and troughs for small bulbs, dwarf perennials, and shrubs, with a special emphasis on foliage form and texture. It will again be an all-the-year garden, with something of interest in every season. Angela says she is ready for a new creative challenge, but not on such a large scale as the one she embarked upon 28 years ago! Ian's popular Snape Stakes Plant Supports and Obelisks will continue to be available both by mail order and for collection, and there is the possibility of a final snowdrop open day in the spring, which will be publicised in the Blackmore Vale Magazine as usual. All developments will be updated on the website www.snapestakes.com.